Bass music is always in a constant state of flux, constantly evolving and absorbing influences from almost everything. 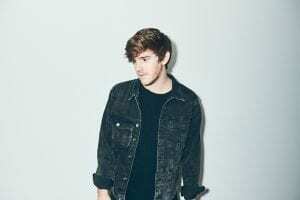 NGHTMRE is no exception; the wide range of styles he has employed along with boundary pushing sound design have earned him the spotlight in electronic music. Currently headlining the NGHTMRE Before XMAS tour, Marenyi is excited as ever to be playing shows across the country. “It’s that moment we have been working on to put all this music together and you get that one hour to share your music,” Marenyi noted. “And the fact that I get to go up there…you know, as much energy as I give out, it’ll get returned. And the harder I go, the more energy I have. NGHTMRE’s most recent release with The Chainsmokers “Save Yourself” showcases that love of taking risks and twisting genres together. “I’ve kinda known those guys for a really long time,” Marenyi said. “Not super well, but we’ve shared music for years and years before we got to do this. It was nice to be able to finally work on something. Along with this collab, there is also one in the works between NGHTMRE and Big Gigantic as well. “That’s another one that I feel I grew up watching and I really fell in love with their sound at a show a long time ago,” Marenyi recalled. “I’ve grown to their music and it’s the same kind of thing; we’ve been looking forward to working together for a while. And if that wasn’t enough, there is still the collab with NGHTMRE and ASAP Ferg slated to be released next year. “The song’s all done, and we just filmed the music video for it last week in New York,” Marenyi revealed. “It’s all set to release early next year. I wasn’t sure how easy it would be to get ahold of him, but he is really into the music video and really likes the song. I’ve been playing the song at shows, and it’s always one of the best tracks…. so excited for it. “For me, as a producer, I came more from a background of engineering and producing rather than DJ-ing first. So, I feel every time I work on a song with someone new, I learn something new about mixing, or a tip or a trick or technique that helps me a lot. Even if you’re working with someone who isn’t as experienced as you, there’s always something I end up learning. You know, something I would never have figured out on my own. Hear all the mind-melting sounds and genre-bending grooves NGHTMRE has to offer when the NGHTMRE Before XMAS tour hits the Shrine Dec. 15!